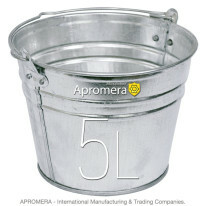 Apromera-produced Galvanised Metal Flower and Plant Pots are in high demand in Britain, the UK. 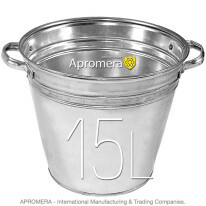 0,38 – 0,45mm-thick galvanised steel is used to make Galvanised Herb Pot. 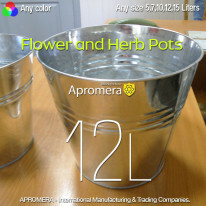 The catalogue featuring flower containers is constantly being updated. All the presented goods are supplied with a detailed description and illustrations. 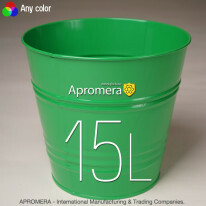 Every customer will be able to find the most suitable container for growing plants. Virtually all the housewives face the necessity to buy containers for plants as the old ones become old-fashioned or break. Original Flower containers can be a wonderful gift for a woman or for a family arranging a housewarming party. 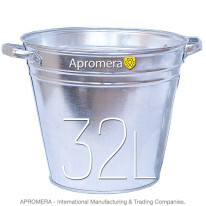 Galvanised Herb Pots can be bought wholesale on beneficial terms. 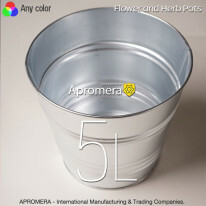 Whether or not you are buying Metal Plant Pots or other goods wholesale you will be able to appreciate our cooperation conditions. 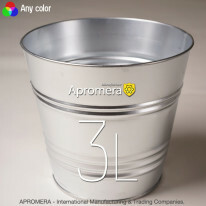 Doing business with the Apromera Company has visible advantages appealing to numerous wholesale dealers. 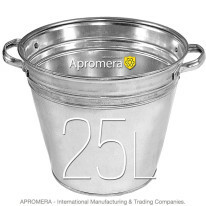 We have a wide range of goods and can offer various galvanised articles. 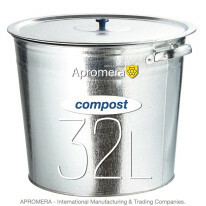 The company offers several ways to purchase a product. You can visit our plant and choose any item you need right here. You can equally make an order in the Internet-shop, which saves your time. We guarantee to deliver your purchase in any European city in Britain (UK), Germany, France, Spain, Italy, Netherlands, Finland. 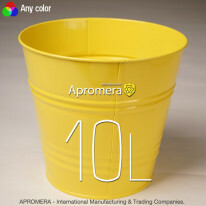 «Apromera » is a plant which means we have low-priced goods. Before getting to our warehouse, goods undergo strict control to meet sanitary requirements and safety standards.